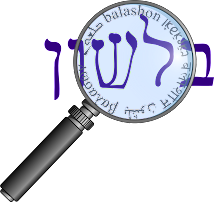 A reader asked if there is any connection between yakar יקר - "precious" and makor מקור - "source". As far as I can tell there is no relationship between the two, but that's no reason not to take a quick look at the etymology of each. Yakar originally meant precious or honored, and over time came to mean "costly" as well. It has cognates in many other Semitic languages. In modern Hebrew, the related term yukra יוקרה - "prestige" was coined. Makor has a more complicated story. It has biblical origins, and Klein points out that the earliest meaning was "spring, fountain" (as in Yirmiya 2:13), and only later did it gain the more general meanings of "source" and "origin" (and "original"). He writes that the root of the word is קור, meaning "to dig". 1590s, "type of shellfish that yields mother-of-pearl," from Middle French nacre (14c. ), from Italian naccaro (now nacchera), possibly from Arabic naqur "hunting horn" (from nakara "to hollow out"), in reference to the shape of the mollusk shell. Meaning "mother-of-pearl" is from 1718. The root קור appears only twice in the Bible (Melachim II 19:24 and Yeshaya 37:25) meaning "to dig for water." This leads me to an interesting etymological connection that I'm not entirely sure about. In his entry for קרר, the root of kar קר meaning "cold", Klein writes that it is possibly related to Arabic qarara, meaning "depth of a well". Would that mean that kar is also related to the words we've discussed meaning "dig"? Any readers out there with more knowledge of Arabic than I have that could help?